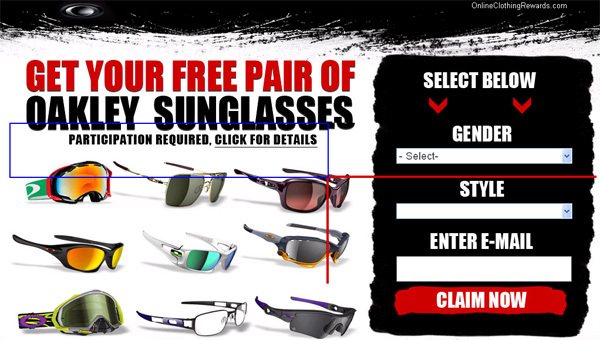 Get a Free Pair of Oakleys! (limited time only)! Current Limited Offer – To Celebrate the Summer, We are Giving Away Free Oakleys To All Facebook Users!